Every New Year I pick a theme to focus on for self and life improvement for the upcoming year. My biggest challenge as the year goes by is out of sight, out of mind. Basically I forget about my good intentions. 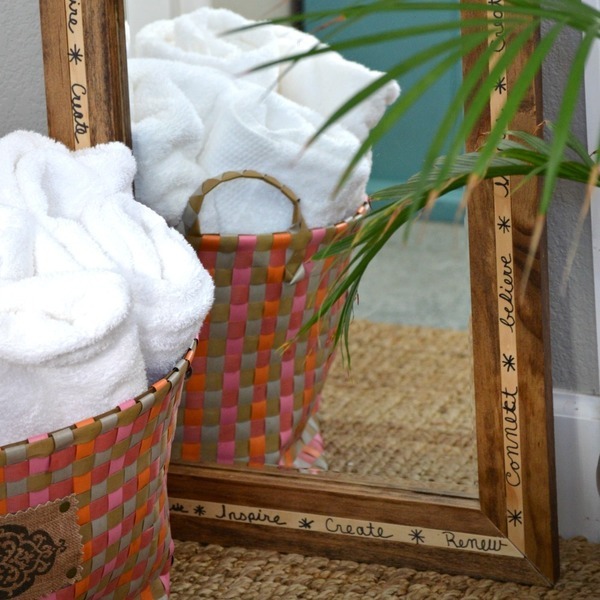 This inspirational DIY mirror frame keeps my new year theme right in front of me every day. 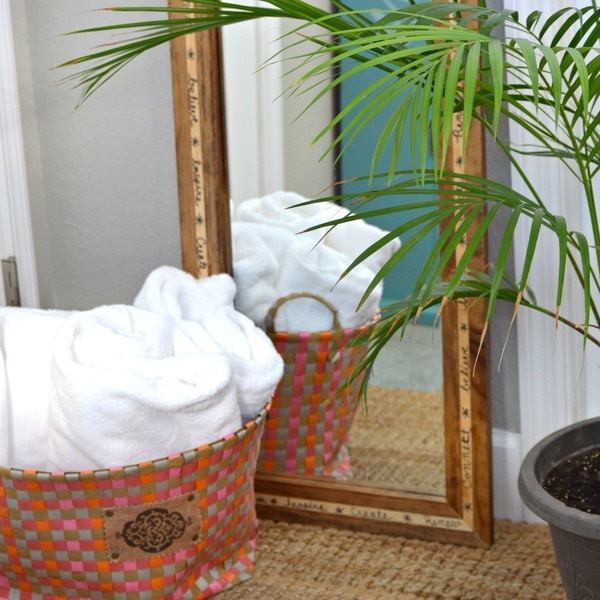 These plans are for an over the door mirror, they can easily be modified for a large leaning mirror or a wall mirror. 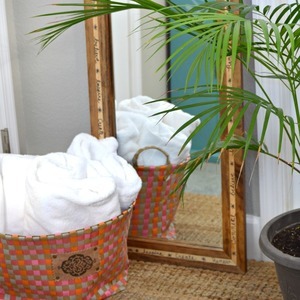 Cut list and instructions: Each board will be notched on one side to hold the mirror and then cut into 3 pieces. 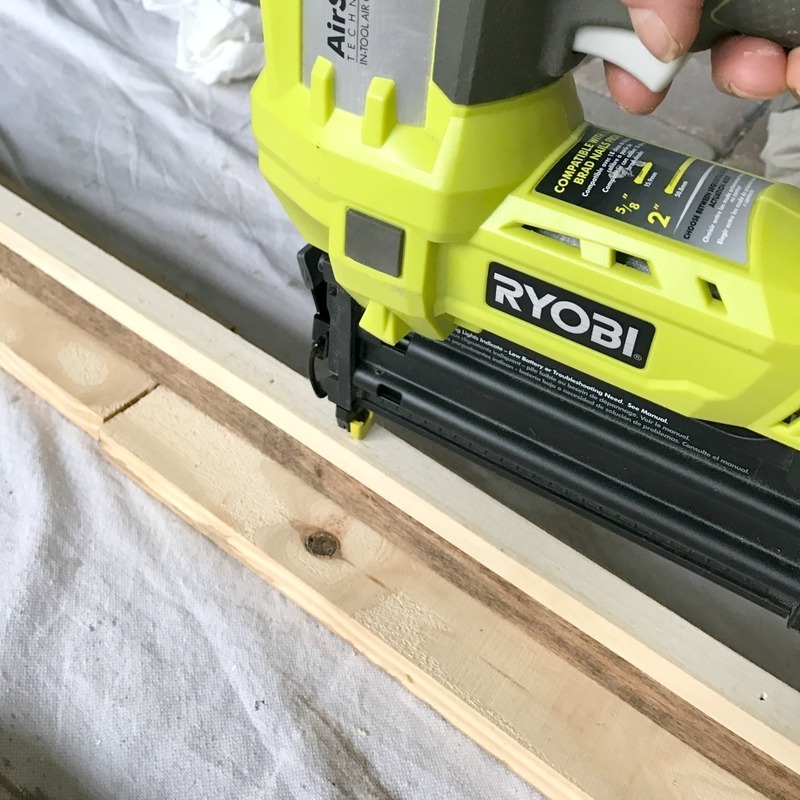 Start by cutting a 1/8th deep notch the depth of the table saw blade along one side of all 3 boards. The mirror will rest in this notch. 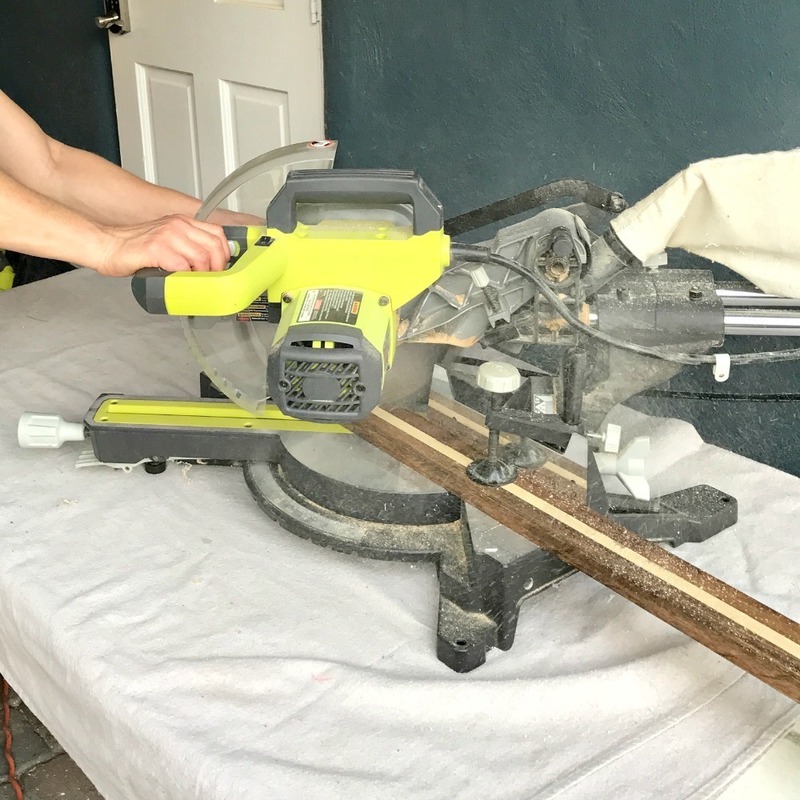 Next, position a board on the table saw with the wide part down and rip a ¾” piece from the side opposite the first cut. Do the same with the other two boards. Last, rip the remaining board pieces in half which will give you two board lengths just under an inch each. Lightly sand any rough edges. 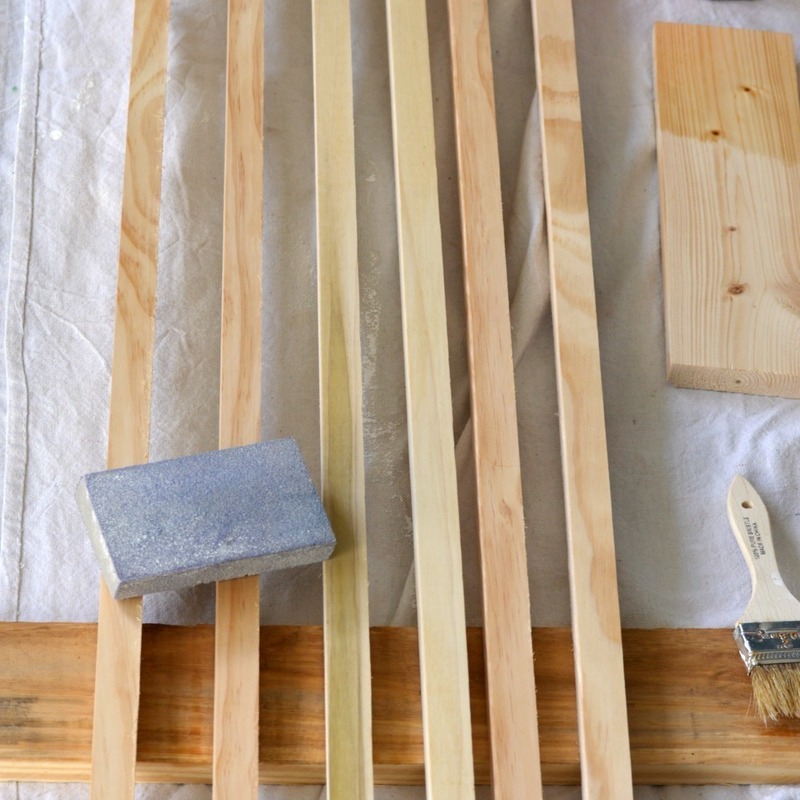 Pretreat all the boards with stain pretreat product. 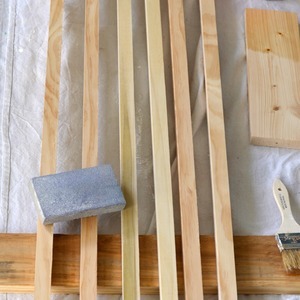 Stain the two wider boards on the top and sides. Assemble the three boards together beginning with the inside board first. 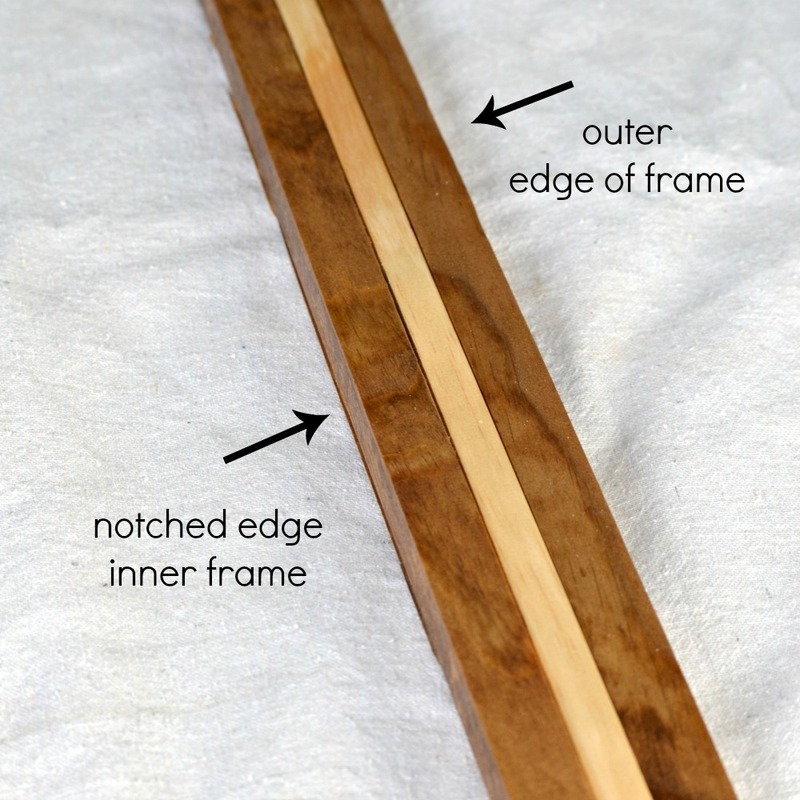 On a flat surface, place the board with the mirror notch side down, glue the unstained ¾” strip to it. Set the Airstrike to sink the brad heads and secure with 1” brad nails. 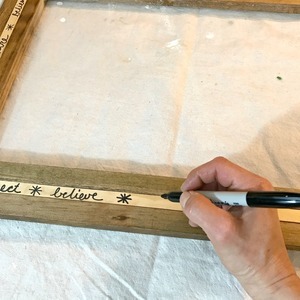 Next, glue and secure the outside wood strip to the other side of the unstained wood piece. Secure with 1 ¼” brad nails. 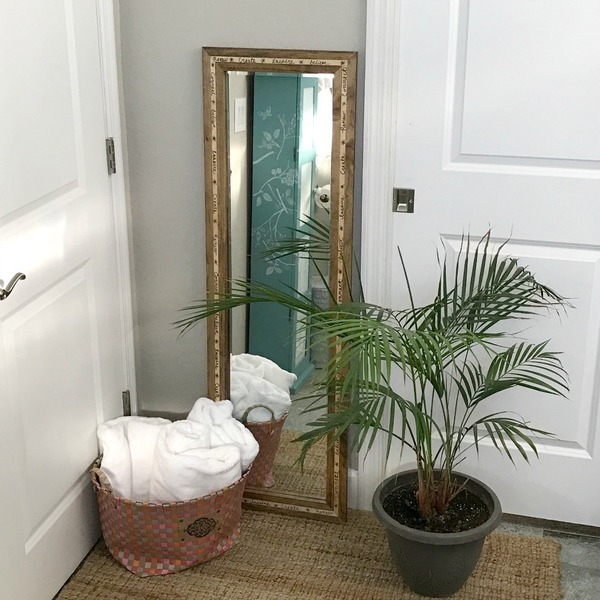 Cut the mirror frame. Using the miter saw set at 45 degree angles. 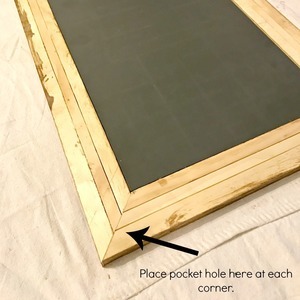 Cut two pieces at 12” at the inside of the frame and two pieces at 48” at the inside. 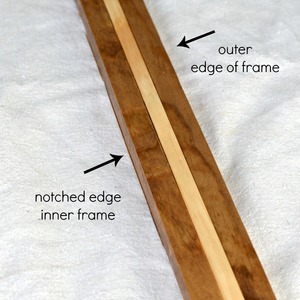 The notched edge will be on the inside (shorter) cut of the frame pieces. Be sure to position your cuts so you don’t cut through the brad nails as well. 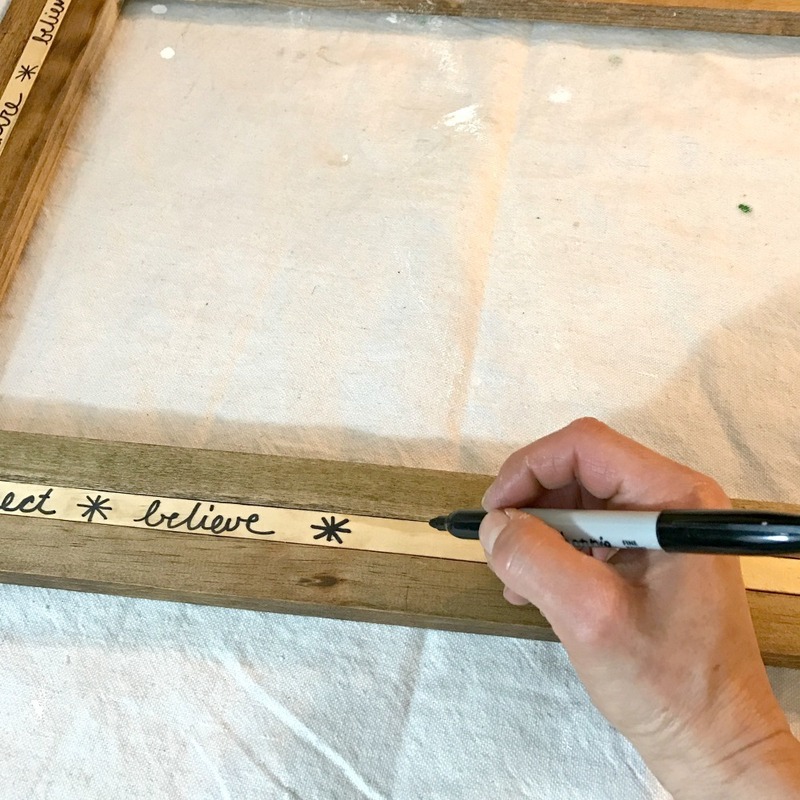 Take a black fine point Sharpie Permanent Marker and write a collection of positive words or special sentences along the unstained center strip all the way around the mirror. 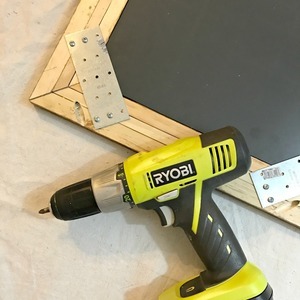 Secure the mirror in the frame with the tie plates and the #6 1/2" screws, placing one plate at each corner and one at each side midway up the mirror edge.